Give A Gift 4th Ed. Give Your Family A Gift That Money Can't Buy encourages everyone, especially senior citizens to preserve their family's history. It is also the perfect starting point for anyone wishing to research his or her family's history. Genealogy Travel - More than just records with examples of "Walking in my ancestor's footsteps"
Case Study: Finding Alvar - A not so great Dane - the 22 year search for my grandfather. A photograph taken in Washington DC, probably in November 1917, with a list of their names including my grandfather John G. Stevenson. Originally posted in honor of Memorial Day 2007. John Gault Stevenson's letters that he sent home from France during WWI are being posted 95 years later. It was one of the major supply bases (ammunition and bread) during World War I. A list of the servicemen who married French girls. The base where John Gault Stevenson was based for two months and wrote many of his letters. They had moved to the British Front by the time Grandpa was there so credit in the letters was given to a British non-com group. 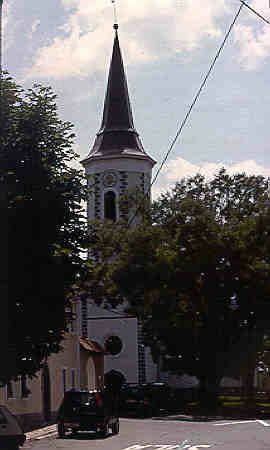 Online images of the parish church records from Stari Trg ob Kolpi, Slovenia. See Locations for a list of villages and towns. Filmed during March, 1999 at the church in Stari Trg ob Kolpe by Mark & Nancy Ohlde. A book project under development - It will be a combination of family history and historical fiction. This started with the family history research of my great-grandfather Theodore Bockman's life in Bluefields & Rama, Central America (Now Nicaragua). It shows how local history events can impact a person and his family. The lives of his extended family and some of the people that he worked or interaced with and also detailed.